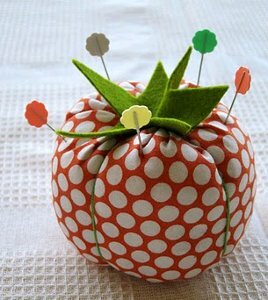 Pincushions: For any sewist, they’re super useful and highly essential. 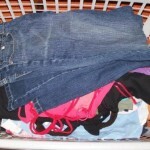 Without them, you would lose track of your pins, or you wouldn’t have them at hand when you needed them the most. Can you imagine placing them near your machine and having them just roll off the table? You could easily prick your foot with one, and you certainly would have a hard time finding it amidst your carpet threads. Really, they’re one of the unsung heroes of the art of sewing. Wouldn’t you agree? 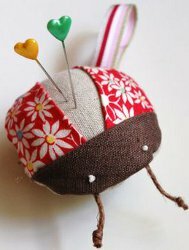 A pincushion, much like a family pet, takes on the characteristics of the sewist who owns one. 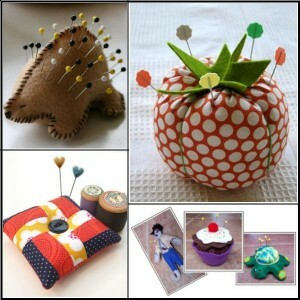 Ranging from simple and basic to more elaborate and quirky, there are countless options in terms of pincushion style. 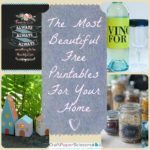 There are some sewists who just want something simple to sit near their sewing machine, something that simply holds the pins they need – being practical about your pincushion is totally fine. 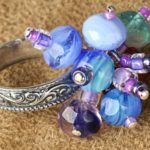 There are also the sewists on the other end of the spectrum, those who don’t want a simple pincushion, those who treat the creation of their pincushion like an art masterpiece. 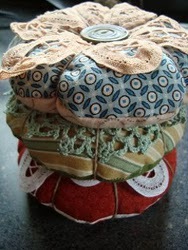 For those in both camps, we at AllFreeSewing have found our favorite pincushions to make. 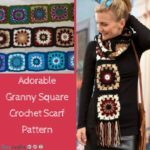 If you haven’t given much thought to a crazy-cute pincushion before, maybe these adorable designs will inspire you! I mean, why have a boring spherical pincushion when you can have one shaped like a sunny-side up egg or a zombie? 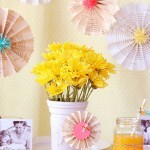 These are basic pincushions – no frills or anything too complicated. 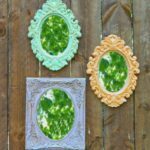 For those who want a challenge, or who want their own little pin-friend next to them as they sew, here are our favorite quirkier designs. We also came across these adorable animal pincushions online! How cute are they? 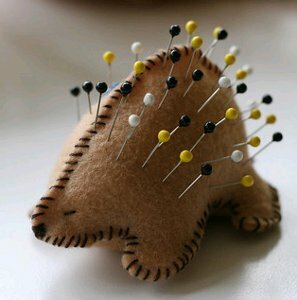 Have I convinced you to try and make a cute pincushion yet? 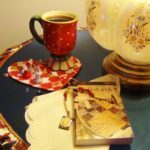 You can also enter an exciting giveaway for your own copy of Pincushion Appeal: Patterns for Pincushions to Make You Smile. 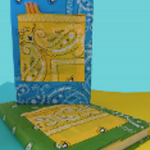 This book of eight unbelievably cute pincushion patterns has full templates and color photos to walk you through the steps needed to make your own pincushions. 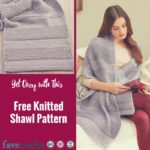 Enter between 2/17 and 3/3 here for your chance to win! Good luck! 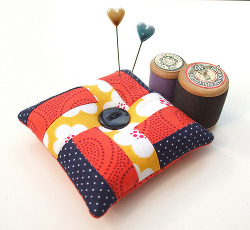 What does your pincushion look like? My pincushion is one of those old ones – a round piece in the middle, surrounded by a little group of Chinese girls at the base. It’s old – may have been my grandmother’s, I’m not entirely certain.